The initials ‘SPSS’ stands for ‘Statistical Package for the Social Sciences’. It is a powerful computer program which is used for survey authoring and deployment and a wide variety of statistical analysis. SPSS is the standard statistical package used by governments, business and academia, so familiarity with this program should serve you well in the future. These are the most frequently asked questions about SPSS. This link - Salary for Skill :SPSS may answer the second and third question.To find answer to the remaining questions, read the section below. Let's target location and industries demographics to get better insight about this topic. The data used here was collected from various websites, job portals and research database. 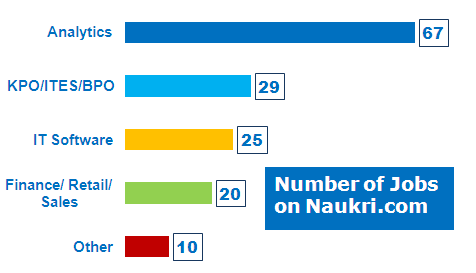 I searched for jobs related to SPSS that were posted on Naukri.com (India's No. 1 Job Search Site). 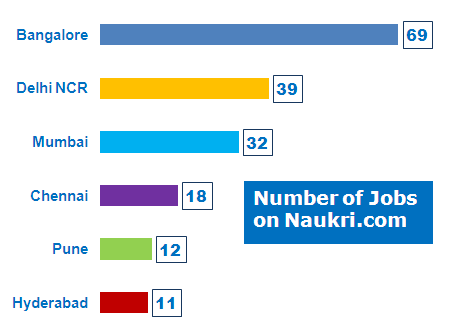 In terms of number of job opportunities by location, Bangalore topped the list with 69 jobs while Delhi NCR being second in the list with 39 jobs. In terms of number of job opportunities by functional area, Analytics topped the list with 67 jobs while KPO/ ITES/ BPO being second in the list with 29 jobs. 6 Responses to "Analytics Companies using SPSS in India"
Master of Computer Application is one of the course which is having many opportunities in IT industry. It involves learning of computer application, programming language etc which meets the IT Industry.